Have your car paint professionally restored or why not have a complete respray? Our fully equipped spray oven and highly skilled staff in our new, bigger workshop in Boughton, Nottinghamshire are ready and waiting to give your car paintwork a new lease of life. Minor touch up work or repainting large areas of the bodywork, we will colour match the paint using manufacturers codes so you will not be able to tell which areas we have worked on. Mixing and applying paint to car bodywork is a fine art and it’s essential to perform the work correctly with the right equipment. At the Chip Wizard we have the latest spray ovens and highly trained staff to make sure that all work is of the very highest quality. Maybe you fancy a new colour? 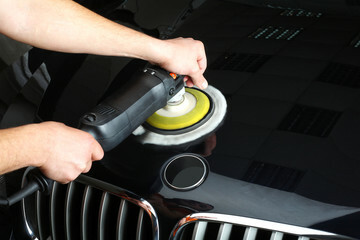 Or is your paintwork so badly damaged that you need a complete respray? We can repaint and restore your car, no matter what make or colour efficiently and cost effectively. We are trusted by major insurance companies to carry out work on their behalf so you can be sure that our work is of the highest quality. Metallic colours and custom colours are not a problem either – we love a challenge! So if you are in need of car paintwork restoration or you want a whole new look, give The Chip Wizard a call – you will be pleasantly surprised and the cost and more than satisfied with the quality of your car respray.